$69.99 cruise to Bimini Bahamas from Miami and back. Miami to Bahamas and Bahamas to Miami only $94. It will cost you more to stay home than to cruise and party with us. 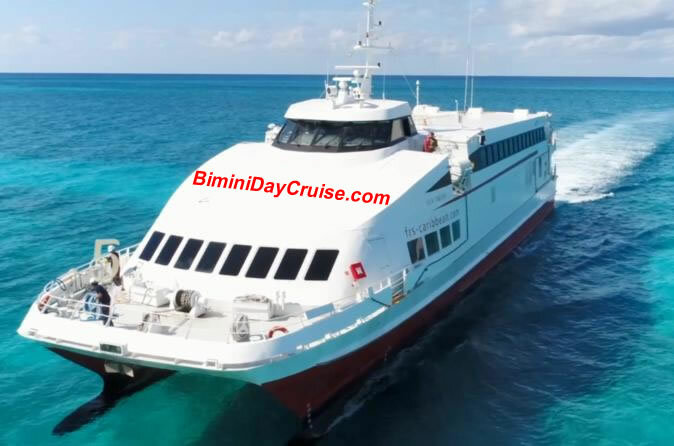 Your 1 day cruise to Bimini, can also be a 2 or 3 night Cruise to Stay™ at the Hilton Resort, Bahamas starts in Miami by boarding the Bimini Shuttle Boat. With top speeds of 30 knots, she is the fastest way to cruise to Bimini, Bahamas. She will comfortably cross the powerful Gulf Stream separating Florida and the Bimini Islands Bahamas. Cruise to Bimini Bahamas from Miami and back. does not show the boat that is being used at this time. Things to do in Bimini, Bahamas. 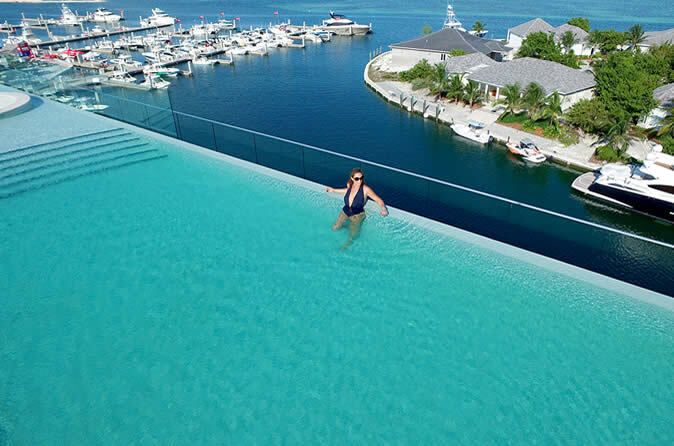 Hilton Resort in Bimini, Bahamas features modern suites and deluxe rooms with marina and resort views. Enjoy our rooftop pool, spa, salon and piano bar. Additional restaurants and various meetings and convention spaces are also be available. Cabins from $25 PP - That is 50% off in some cases off full rate for advanced booking. Let Bimini Shuttle Boat take you to Bimini, Bahamas for the day. Spend one whole day in Bimini and enjoy some of the best beaches in the world. We’re ready to take you on this day trip with lots of sun, surf and all sorts of fun including gambling, water sports or simply exploring the natural beauty of the island. Cruise Port Miami's cruise terminals are among the most popular world wide. Drive-in passengers can opt for convenient on-port parking with special arrangements for travelers with disabilities. If you are coming by taxi, shuttle bus or limousine, you'll get dropped off is directly in front of the terminal entryways. Bimini, Bahamas, in the Atlantic, is only 48 nautical miles from Cruise Port Miami. For a 1 day getaway, you can’t beat our fast and reliable Bimini Shulle Boat from the Cruise Port Miami to the tropical paradise, Bimini. Alice Town, features the Radio Beach Shipwreck.